SHETLAND MSP Tavish Scott says he is “delighted” to have joined the board of Shetland Space Centre Ltd. 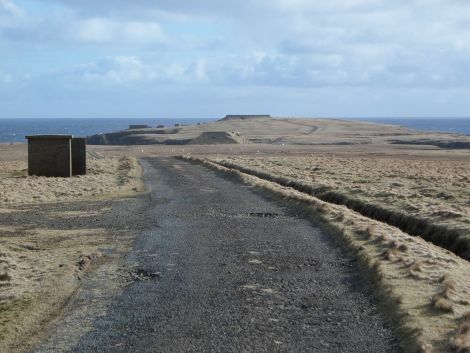 The politician, whose father owns the land at Lamba Ness in Unst where satellite launch facilities could be based, is one of a number of new appointments to the company. “This unremunerated post will allow me to assist with the incredibly exciting potential for Unst and Shetland in developing satellite information and data services and small scale launch facilities in Unst,” Scott said. “I believe this can be a catalyst for a new industry across Shetland and I plan to assist in its development. The new chairman of Shetland Space Centre will be Chris Phillips, who is non-executive chairman of Hadleigh Waymoth, an independent advisory and fund management business. Former Labour MP and government minister Brian Wilson, who is also a director of Celtic Football Club, will be the vice-chairman. Joining Scott as a non-executive director is Todd Ruppert, founder and CEO of investment firm Ruppert International. Existing team Frank Strang, Debbie Strang, Scott Hammond and Bill Gibb are still on board, while Fiona Thompson is listed as a secretary. Earlier this year Shetland Space Centre put pen to paper on a memorandum of understanding with Lockheed Martin and Shetland Islands Council to initially create a satellite tracking and communication centre on the UK’s most northerly island.